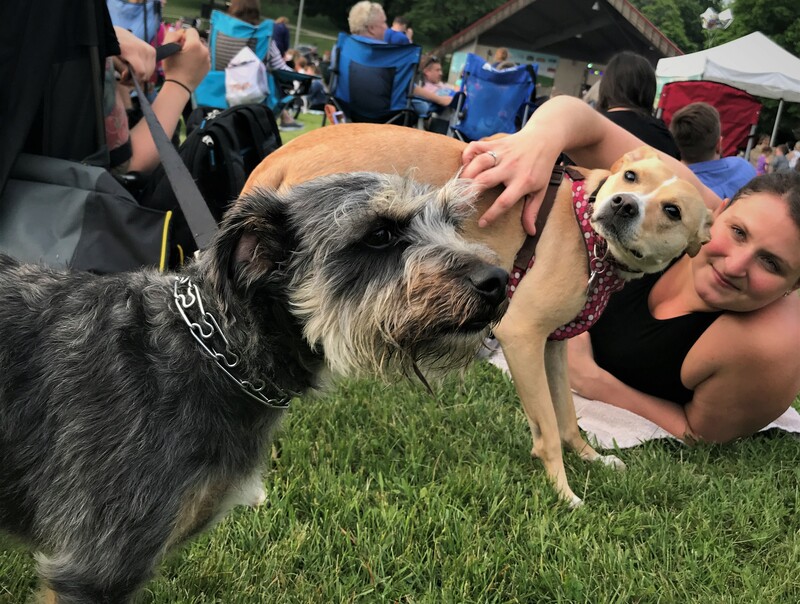 Since it's inception, Chill on the Hill has grown from a relatively small event to the hottest outdoor concert series in the city --regularly drawing 2,000 to 3,000 neighbors to Humboldt Park each Tuesday. As the event has become more popular, the all-volunteer staff of the Bay View Neighborhood Association decided that is was time to put some of the event’s policies and procedures in writing. These policies are subject to change, so please check in frequently. The Bay View Neighborhood Association wants to remind everyone that being neighborly is the first priority at Chill on the Hill. You are encouraged to talk to each other if issues arise, and that kindness is expected from all parties. 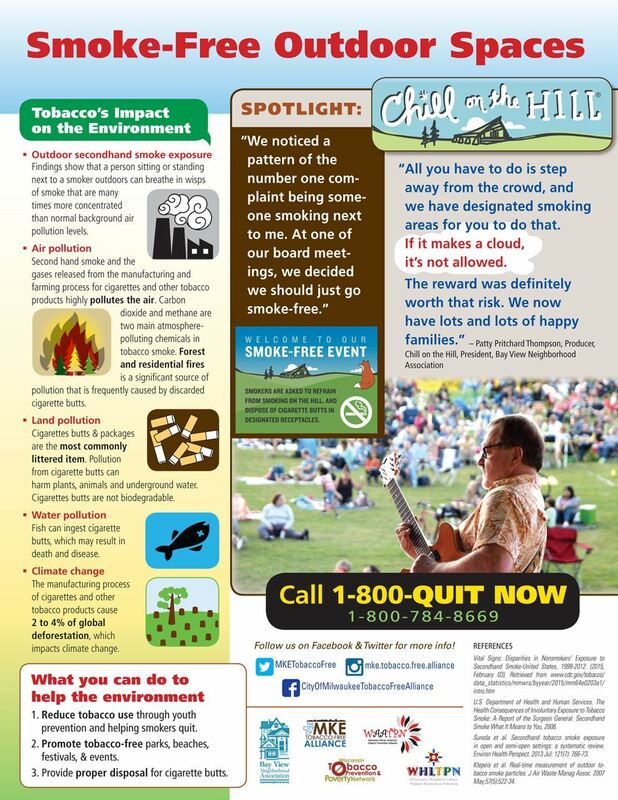 Chill on the Hill is a smoke-free event. Smokers are asked to move to the outer ring of the Hill to smoke. This includes e-cigarettes and vapor cigarettes. 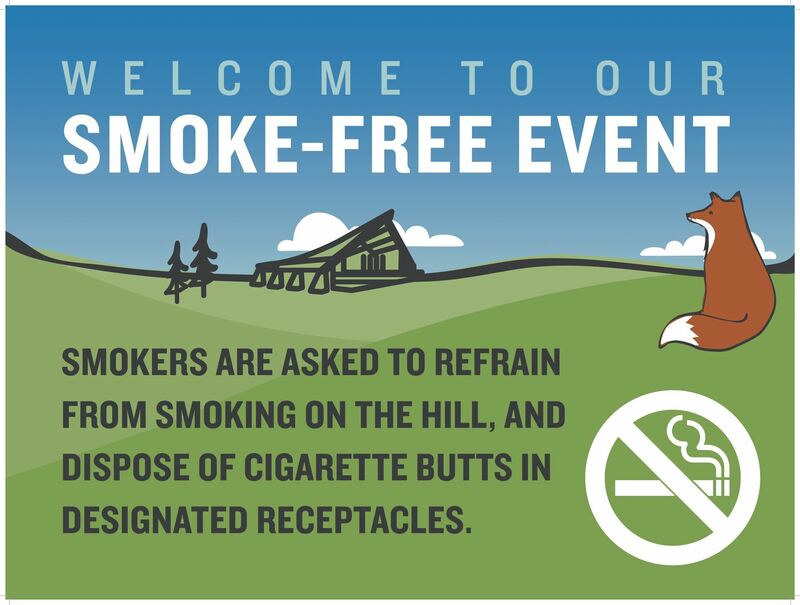 Please dispose of cigarette butts in designated receptacles located on either side of the Hill. Periodically parents and children lose track of each other at Chill. To help facilitate safe and timely reunions, Ebenezer Child Care Centers, Inc. has graciously agreed to host a child-parent reunion area. Ebenezer sets up a tent near the BVNA tent on the south side of the hill. Parents and children are asked to check the parent-child reunion area if they become separated. Parents are encouraged to have an emergency plan and establish a “home zone” and make sure everyone knows how to find it if they get separated. Parents may also consider writing their name and cell number on the child’s arm or on a sticker on the child’s shirt. Wisconsin weather is unpredictable. We may not know if we have to cancel a concert until the very last minute. We make every effort to have each Tuesday event as planned, as there is no rain-site location. We yield to the professionals - as long as the production/sound company and band feel they can provide a good show, Chill will go on. If there is lightning or dangerous weather, we will cancel that week's concert. We’ll communicate any cancellations or postponements through the BVNA website Facebook and Twitter accounts. No dog is 100% controllable. Please consider the risk to others of bringing your dog. Is your enjoyment of Chill on the Hill solely dependent on you bringing your dog? Other guests may not enjoy your dog as much as you do, so please keep that in mind. How crowded will it be on the Hill, and can you handle your dog in a very crowded space? Are you willing and able to keep your dog on a short leash and close to you at all times? Please use a fixed leash only. No retractable leashes. Is your dog reactive to other dogs? Is your dog reactive to people? Is your dog reactive to kids? Are you unsure how your dog will behave in a large crowd? If you answered yes to any of these, then Chill on the Hill is not the place for your dog. Please leave your dog at home. Well-behaved, leashed dogs (& cats) are welcome at Chill. Pets must remain under the owner’s control and on a short leash at all times. Owners must clean up after their pets. If a pet is disruptive or aggressive and detracts from others’ enjoyment of the concert, the owner will be asked to take the pet home. To all guests: Please use caution when approaching a dog. Always ask permission to pet a dog. Chill is made possible through the financial support of many generous sponsors who pay for the ability to promote their businesses at the event. For this reason, only permitted sponsors and vendors are allowed to sell, present or hand out promotional materials on the hill at Chill. NO SOLICITATION. Unauthorized groups will be asked to leave the Chill area. Contact our Sponsorship Chair at bvnasponsorships@gmail.com for information on how to become a sponsor. For the safety and enjoyment of everyone at Chill on the Hill, we ask that you take all recreational activities (such as biking, rollerblading, skateboarding, playing catch, etc.) off the hill and away from the Chill crowds. Bike parking is available at the South Shore Cyclery Bike Spot near the food truck and vendor area on south side of the hill beyond the sidewalk. Chill generates a large amount of trash and recycling each week. The BVNA is committed to minimizing the amount of waste going into landfills, therefore we ask you support our efforts to be an environmentally conscious event. Take the extra minute to separate out your food waste, paper, glass, cans and plastic containers and dispose of them in one of the single-source recycling bins or compost receptacle provided. Drone flying is not permitted at Chill on the Hill. The Federal Aviation Administration does not permit flying drones near or over people. The FAA also prohibits flying drones within 5 miles of an airport without permission from the airport. Humboldt Park is 3 miles from Milwaukee’s General Mitchell International Airport. It is not permitted to set up tents or rope off areas of the hill. If you would like to make arrangements for an area for your group event, contact our Sponsorship Chair at bvnasponsorships@gmail.com. Carry-Ins are allowed. Food and beverages are also available for purchase from authorized vendors each week. Grilling is not allowed at Chill on the Hill.